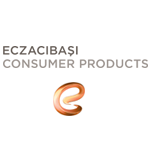 Eczacıbaşı Consumer Products, one of the 42 companies comprising the Eczacıbaşı Group, is the manufacturing, marketing and sales company for many of Turkey’s leading brands in the tissue paper, baby care, personal care, household care and away-from-home categories. It has been at the forefront of Turkey’s tissue paper market since its establishment in 1969 as İpek Kağıt Tissue Paper. It has five powerful tissue paper brands: Selpak, Solo, Silen and Servis for diverse consumer needs and expectations and Selpak Professional for the away-from home market. In recent years, Eczacıbaşı Consumer Products has increased its focus on international markets; today, its flagship tissue brand, Selpak is sold in more than 80 countries across five continents. Eczacıbaşı Consumer Products now aims to promote its baby care brand, Uni Baby, and sexual well-being brand, O.K., both of which are category leaders in Turkey, in selected international markets. ESSEL PAPER has been in business parent (Jumbo) Rolls for the past 8 years. Essel Paper is a world leading producer of parent (Jumbo) rolls of toilet tissue, facial tissue, napkins, toweling. Founded in 2011, the company is active in more than 55 countries around the world with major market shares in the US, Canada, Europe and a number of growing and emerging international markets. 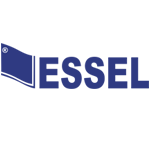 Essel maintains a very close partnership with many of the leading and growing converters across all continents. TPC is a certified ECO VEN Environment Friendly converter and manufacturer of high quality hygienic eco-green consumer paper and plastic products. 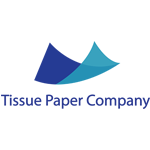 Paper products such as facial tissues, toilet paper, kitchen towels, table napkins and diapers. Plastic Products include aluminum foil, cling film, trash bags, etc. We are also marketers and sellers of all kinds of hygienic, cleaning and disposable items, services and after sale services. 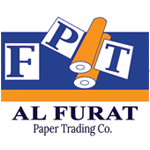 Established in Lebanon in 2015 with over 15 years of experience in the tissue paper manufacturing industry we have became a leader in the Lebanese, Egyptian and Syrian markets. Dedication and credibility to our clients and customers are the fundamental bricks that our successes we see now were built upon. TPC-client relationship is represented by our motivated staffers to produce their best, as well as our implementation of ethical standards and professional practices in our business, which in return are the major contributors to our solid reputation. 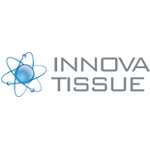 INNOVA TISSUE is an advanced sales network of brand new and second hand equipment for paper mill and tissue converting. We are your reference for any kind of project in tissue industry for both paper mill and converting. ACELLI, complete tissue mill including Rewinder and Handling. Complete or partial Overhauling of existing paper tissue plants. TMC, leader in packaging and palletizing solution for rolls, diaper and folded products. OMET, the best solution for tissue converting lines of folded product as napkins, facial and towel.